Huawei's big news at MWC was, of course, the P10 handset and a new watch. The company does have its fingers in other pies, though, and one of those is the drone game. Far away from the exhibition halls where all the smartphones are on display is an area called "Innovation City" (it's more of a hamlet, but we'll go along with it). Here, Huawei is demoing a number of quirky ideas, one of which is a grand plan to help solve the short battery lives of drones -- and it's as curious as it is clever. In case you were worried, that's a scale model of a cell tower above. The plan isn't to have mega drones. The concept is part of Huawei's X Labs project (in partnership with China Mobile). The team behind it identified what it thinks are the two main problems when it comes to using drones for cell site inspection: battery life, and GPS interference from buildings. A spokesperson suggested that GPS issue is also often a significant contributor to the battery life issue. The proposed solution is to have cell towers boost GPS data, passing it to the drone while also providing wireless charging. In the future, the company hopes that wireless charging will be good enough that the drone won't need to land at all, but that seems a few years off, especially since we can barely charge a phone more than a few feet across the room right now. Still, if the technology develops fast enough, it could have useful implications that go broader than just cell tower inspection. 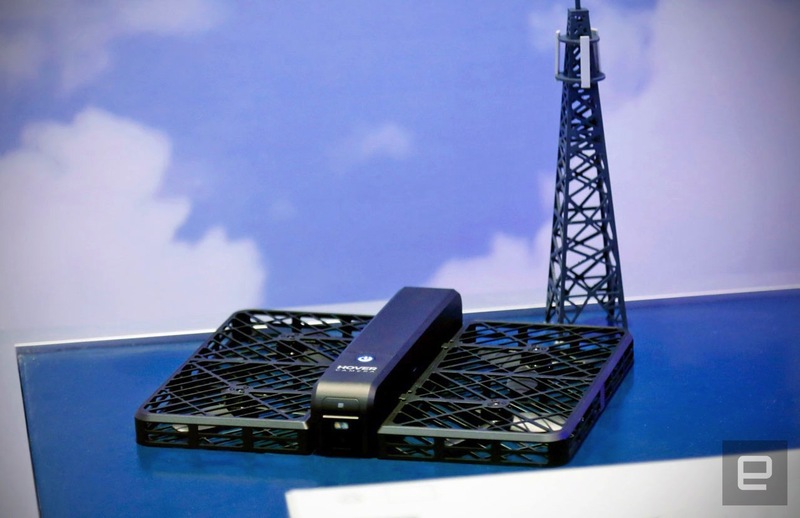 China Mobile (Huawei's partner on this project) already has real-world plans for its network that involve drones. Last summer it outlined a collaboration with Ericsson to have 5G-enabled quadcopters act as relay points between two cell towers to help ease handover problems. With a typical flight time for most drones being around 30 minutes, this is a temporary solution at best -- one that might provide some impetus to crack this power issue for good.